If you’ve worked with a lawyer in the past, you know already what the traditional experience is like. With traditional lawyers, you meet with a lawyer who will oftentimes make things seem very complicated and confusing. You’ll have a good idea that the lawyer is smart and seems to know what they are doing, so you’ll nod and answer questions, as if you understand everything. Because you want to do the right thing for your family, you’ll have the lawyer prepare documents for you and you’ll sign the documents, feeling relieved that you’ve got that taken care of. Unfortunately, we’ve seen this happen to too many families. The most difficult part of our job is receiving calls from people who have just lost a loved one, only to realize their loved one’s estate plan was out of date, not funded, or never set up properly in the first place. This happens because the estate planning industry is not designed to serve growing families who experience lots of change on their way to success. It is designed to serve 70 and 80 year olds who are preparing for death. That is why most estate plans FAIL, and could not possibly provide your family the estate plan you need. 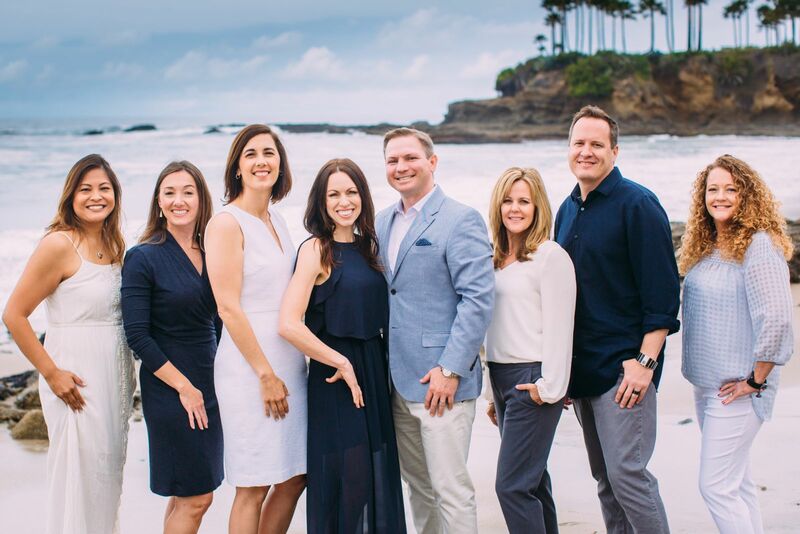 It wasn’t until we had children of our own that we truly realized that the traditional estate planning experience could not possibly protect our growing family the way we needed. That’s why we made it our mission to get our own family the protection we needed, and to help other parents like us protect their growing family too! What makes our firm special is that we were built with the needs of growing families in mind. We understand you are BUSY, you are growing, you are planning for a life of prosperity and you value ease, convenience and efficiency. You want to know you’ve made the best decisions for your family and that your plan will work when your loved ones need it most. You want to make sure your children would be taken care of in the best way possible and will be prepared to receive your wealth if anything happens to you. That is our focus as well. We’ve developed unique systems to give you the same access to your family trust lawyer as was previously only available to the likes of Bill Gates, Warren Buffet, and Sam Walton so you can have the guidance you need to build and maintain a life of prosperity and wealth. We have a whole team to serve you. When you call our office to ask your quick question, you won’t have to wait hours or days for a phone call back. You’ll get your question answered, right away. And, if you need to schedule a more in-depth legal or strategic call with your family trust lawyer, a call will be scheduled when you’re both available and ready for the call so we can make the very best use of your time and not waste your time by leaving voicemail after voicemail back and forth. We’ve developed a tool that allows us to pass on your whole family wealth, including your Intellectual, Spiritual and Human assets. I can’t go into all of the details here, but we’ll definitely talk about when you come into meet with your own Family Trust Lawyer. PS – if you think this all sounds expensive, well, you are right and you are wrong. We can guarantee you that if you qualify to meet with us, that planning is substantially less costly than it would be for your family if you died with a plan that didn’t work or if you didn’t have a plan in place at all. And, we’ve never had a single family who believed in this kind of planning and wanted to put it in place for their loved ones leave our office because they couldn’t afford it. We’ve made creative financing available to our clients because we know that this planning is the foundation for a life of success! We are a business and estate planning law firm that protects families and serves them for their lifetime. We are located at Fashion Island in Newport Beach and are equipped to serve families throughout California. We graduated from top law schools and worked for big law firms but our true value comes from being parents ourselves and serving families. We use the very best resources and technology when creating plans, plus our wisdom and care! We have a package for you that will fit in your budget and provide you the protections you need. We make sure that your children are the focal point of your plan, not an afterthought. We have the warmest, friendliest staff who want you to love your experience. We know passing on your wealth is only one aspect of creating a true estate plan that will protect your family. Our clients LOVE us and are our BEST referral source! And we LOVE them too!